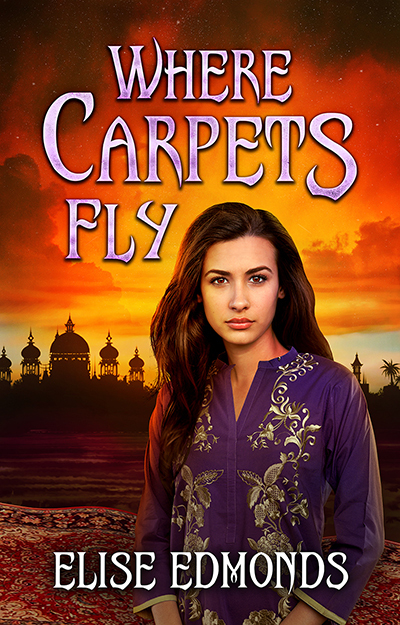 Where Carpets Fly is my first novel. It’s probably three years now since I had the very first snippet of an idea for it. At that point, I wasn’t writing seriously, and I was struggling to take my writing to the next level. I decided to try and find an online writing group to give me some tips and see if I actually had it in me to write a novel. With the help of my good friends at Scribophile, it turned out I could do it. I learnt to critique, I learnt to improve my own writing, and I learnt how to structure a novel. My original idea was based around writing a fantasy book about a girl who goes to magic school. I’ve grown up on children’s fantasy books, and children’s school stories, and so combining the two was my way of writing the story I wanted to read. Over the last three years though, Where Carpets Fly has grown into so much more than just a magic school story, and I can’t wait to share Elina’s adventure with you all. Ahhhhh I’m so excited from this! Thanks Heather 🙂 I’m getting excited and impatient too! I love the mystery in the blurb. I’m also really hoping there is a magic carpet car chase sequence! Congratulations getting so close to publication too. I’ll look out for updates.